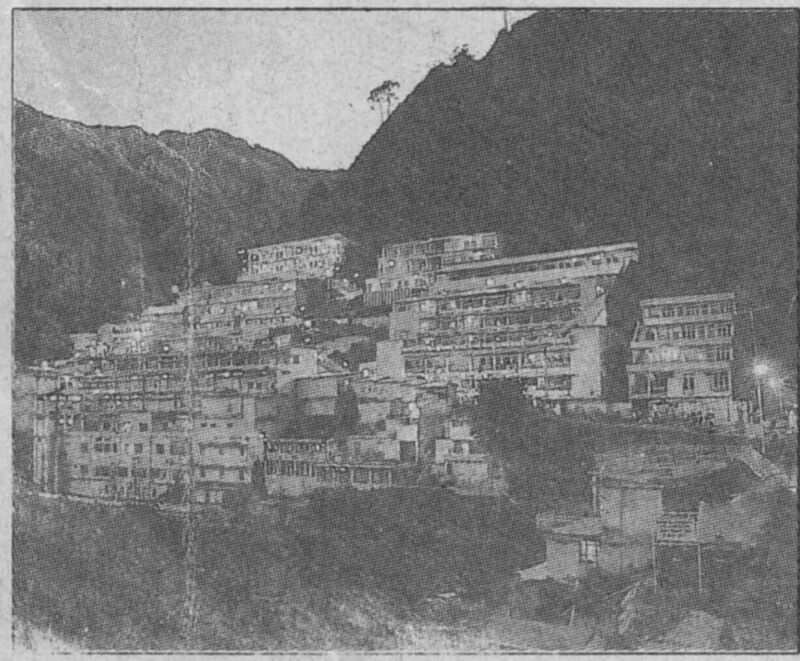 Vaishno Devi Shrine at the Himalayan foothills is the abode of three mother goddesses, Ma Vaishnavi, Saraswati and Lakshmi. Situated at an altitude of 6000 ft from the sea-level and at a distance of14 km from Katra the base camp which is connected with Jammu by road covering a stretch of 52km. Thousands of pilgrims climb every month from the road head at Katra to finally arrive at the abode of Mata Vaishno Devi. It was decided that all gods and goddeses woutd contribute their specific energies to create a super being which will have the powers to kill the demon. Such a union of heavenly energies created a mass which was named Vaishnavi since the contribution in her birth by god Vishnu was the greatest. 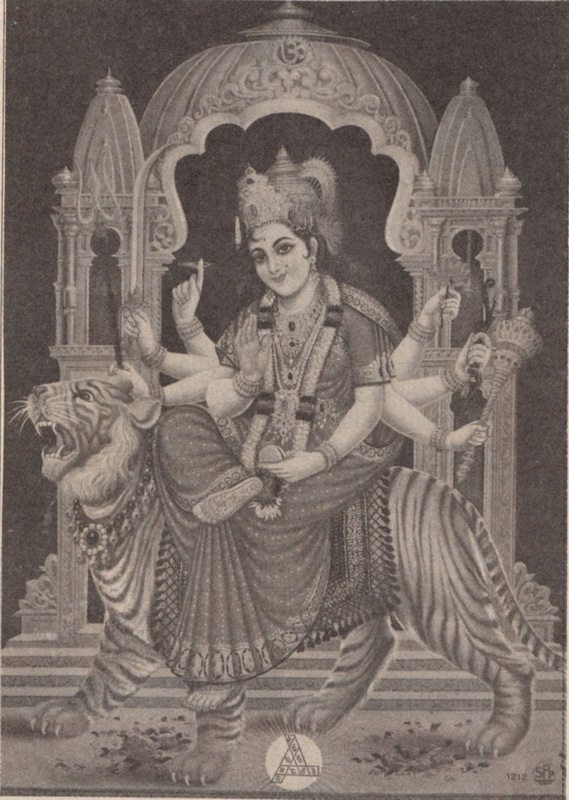 The religion professed by her came to be known as Vaishnav dharma. According to a legend the edification of the present shrine was undertaken about 700 years ago when Ma Vaishnavi appeared before one devout person Shridhar in a village named Hansali about 2 km. away from Katra. She blessed Shridhar and made arrangement for a 'mega community kitchen' (bhandara) for her bhagat. The sect of yogi Gorakhnath was also invited. Yogi Bhairavnath asked for meat and wine to which Devi strongly objected. During this argument the yogi tried to overpower the Devi but she became invisible. The yogi kept on chasing her. At one place she remained confined there meditating all the time for full nine months and the spot today is known as Garbh joon symbolising a womb. Ultimately the yogi was overpowered and finally killed by the Devi at the place where the cave shrine (goofa) is situated. Thereafter the devi aquired the form of a pindi, the energy mass. Thousands of people visit the sacred sanctorum and offer their obeisances. The 14 km stretch from Katra to the holy Shrine can be traversed by three means. However ponies, mules, 'pithus' (men carrying children and elderly persons on their backs) and the palanquins (palkis) are permitted. No vehicular traffic is allowed beyond Katra. Katra Bus terminus before the commencement of the yatra. Forthose who prefer to walk, canvas shoes, wooden- sticks, umbrellas and various other knick knacks are also available in the bazar at Katra. It is customary to take a holy dip at Ban Ganga before the journey begins. Then onwards throughout the steep climb pilgrims keep moving on slowly encouraging each other with loud chants of 'Jai Mata Di'. On the way small rests are taken at Charanpaduka, Ad kumari, Garbgufa, Hathimatha, Sanjhi Chhat and finally the holy Shrine. On reaching the valley where the cave temple is built pilgrims first take a bath, wear new clothes and then buy parshad (offerings). Full of excitement of finally having arrived at the pious place of consecration the devotees feel refreshed as on stepping in the cave a stream of cool water of ma ganga touches their feet. Inside are the Pindis of the trinity Ma Kali, Ma Saraswati and Ma Lakshami where one prostrates and is blessed with Khajana-a few coins symbolising wealth. 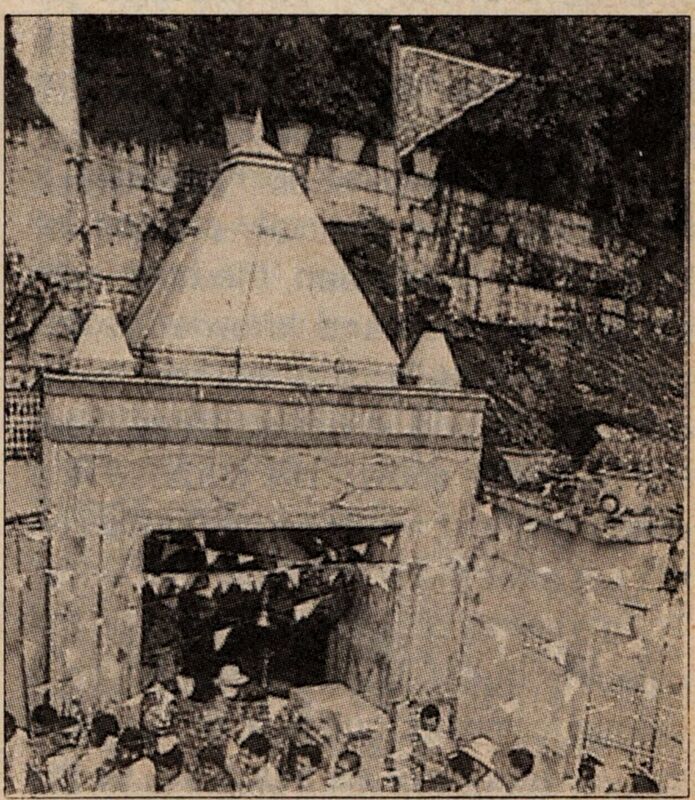 Mythology mentions Pandavas of the Mahabharata having built the temple at the Shrine. Dharamsalas or dormitories built for pilgrims present a magnificent view at sunset.